“House of Cards” is taking full advantage of its release date. With the 2016 presidential campaign already underway, Netflix’s landmark drama launched its own campaign to win over (or win back) viewers with its first Season 4 teaser. Debuting tonight during the GOP debate, the 30-second preview — see above — has been designed to look like an authentic political ad, with an endorsement from the candidate and a new website for supporters to pledge their devotion. Visitors to FU2016.com will find Underwood’s bold views outlined with an equally brash slogan, one taken from his fortuitous (or not) initials. Anyone who wants to give a big “FU” to inequality, dishonesty and entitlement can join the movement. Many wondered whether or not “House of Cards” Season 4 would get a later release than its predecessors, given its later than usual renewal notice. But fans needn’t have feared. 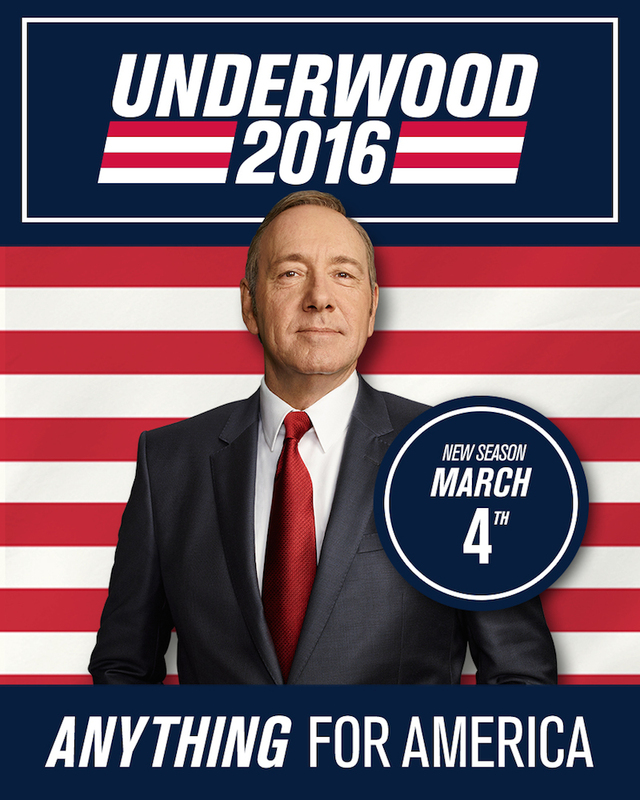 “House of Cards” Season 4 debuts March 4. Watch the teaser above and check out the campaign poster below.